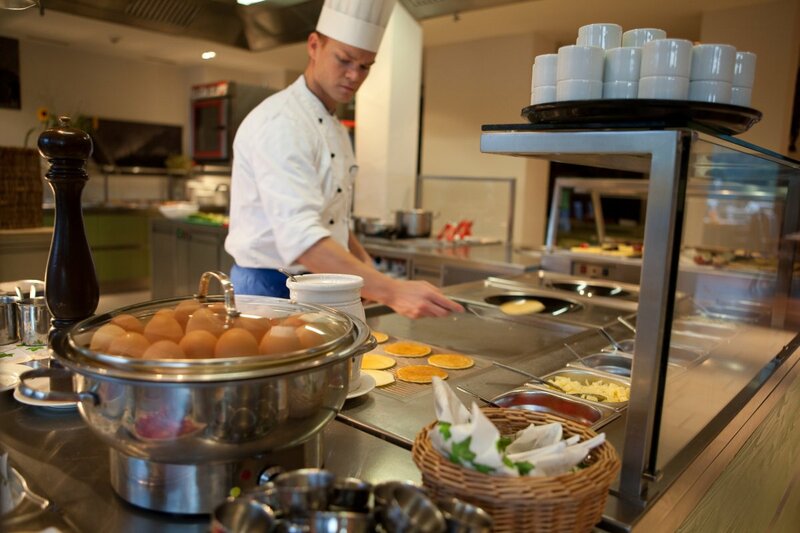 Dining facilities in the Hotel Oberstdorf in the heart of the Alps. 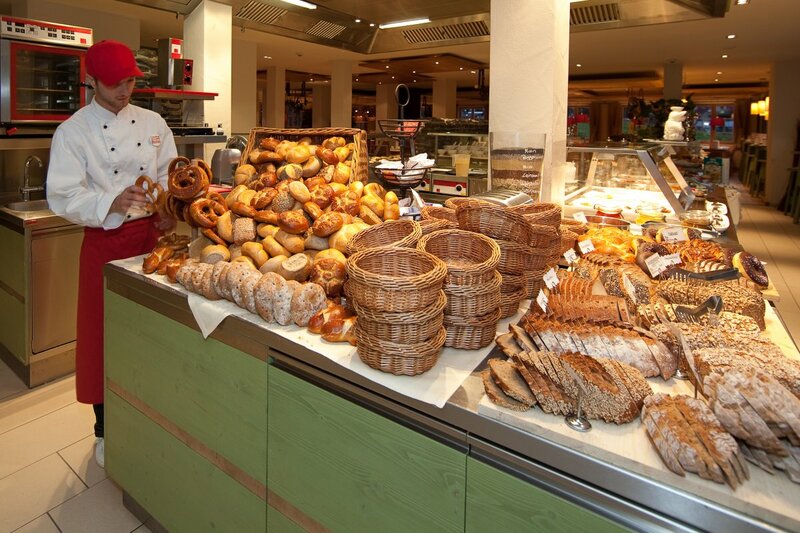 In the Alpine restaurant, each morning will begin with an opulent breakfast buffet. 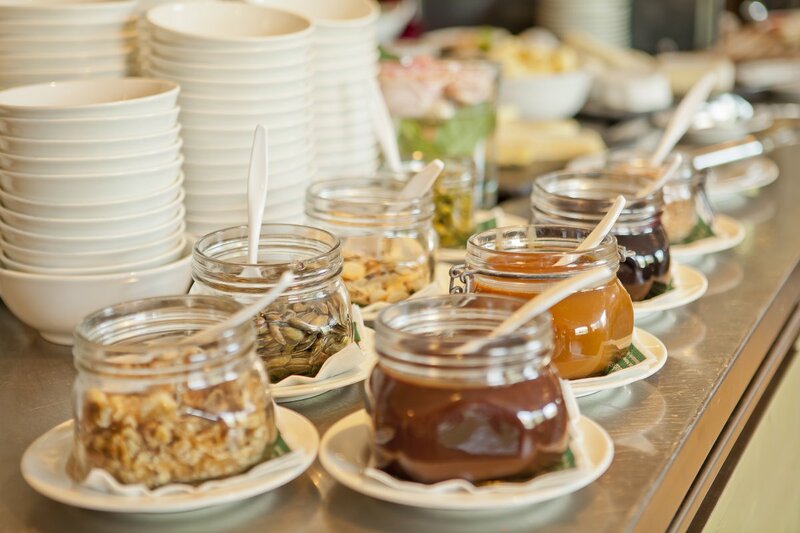 In the afternoons guests can enjoy a delicious Allgäu farmers’ buffet & in the evening indulge in a gourmet buffet. Culinary pleasure the whole day! 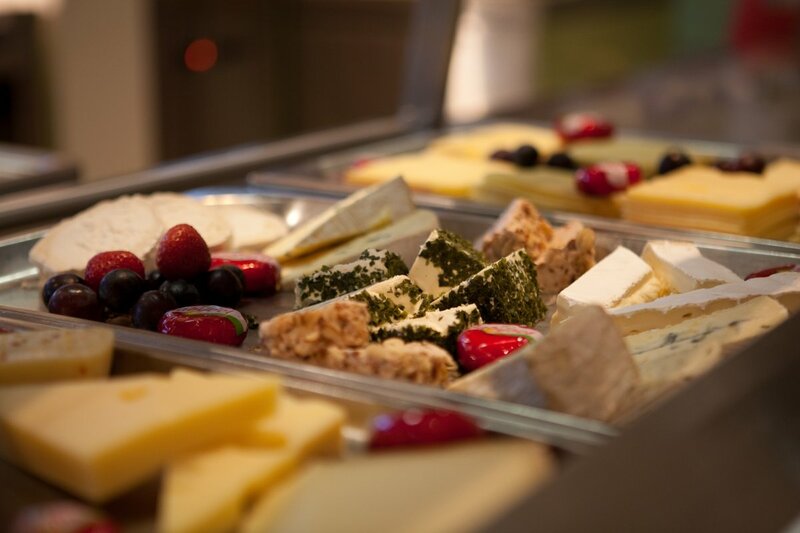 You are spoiled for choice with more than just the rich selection of our buffets, which we serve in the mornings, afternoons, and evenings. If you would like to, you can also decide every day where you want to be pampered by us. The Alpine restaurant in the Hotel Oberstdorf consists of four completely differently designed areas - from comfortable and rustic to modern and elegant. When the weather is nice, you can of course also take a seat on our terrace with a wonderful panoramic view. Every day is Sunday here. 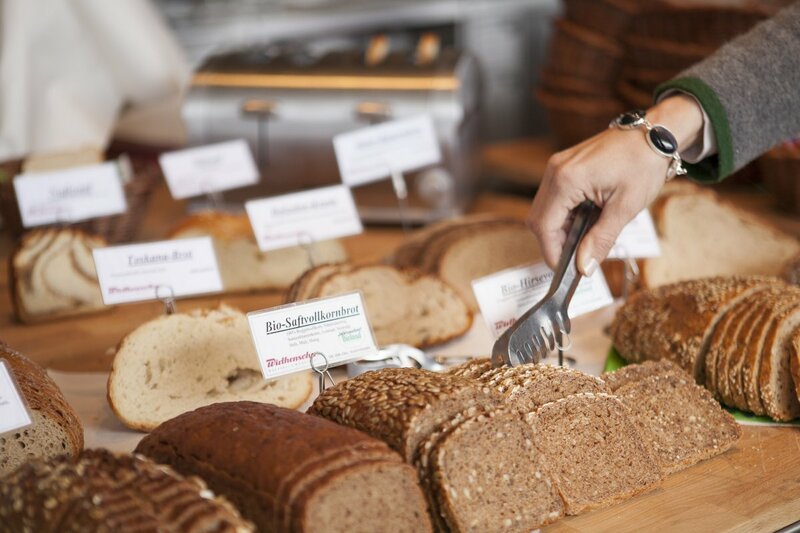 Because with over 150 ingredients, you have a wide selection of bread, jams, sausages, and cheese. 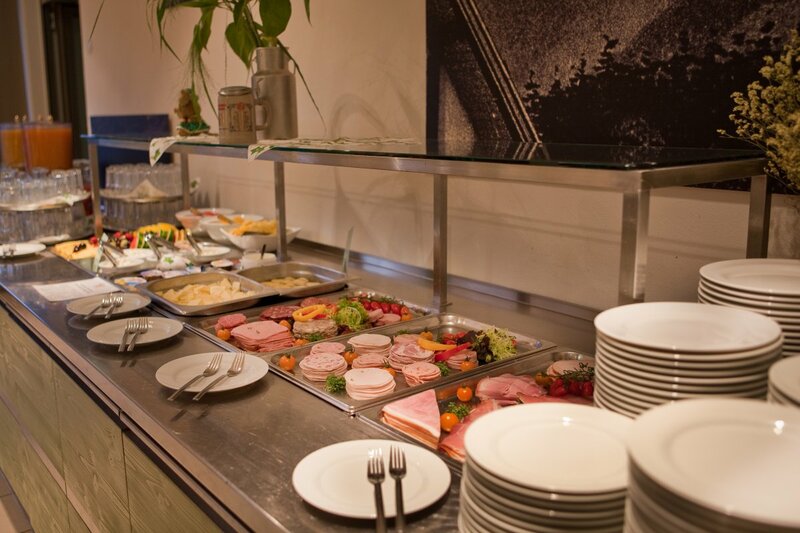 There is a front cooking area for egg dishes, fresh fruit for yoghurt with cereals, cakes, and numerous hot drinks. Take whatever you wish and enjoy a delicious and healthy breakfast. Our fireplace bar with a lounge is open daily from 7am to midnight. Whether you want a quiet place to read, play a board game with the kids, drink a coffee or a cold beer, or have a snack. The motto here is "you don't have to do anything, you can do everything". From 12 to 10pm, our kitchen staff will be happy to prepare small delicacies from the à la carte menu. Relax and unwind! There are more than 100 different whiskeys in the bar and a whiskey tasting once a week. This cosy and rustic room is perfect for a break on a wonderful day of skiing on Söllereck. The Alpe is directly accessible from the slopes and you can quickly meet new people on the sunny terrace with fantastic views of the Illertal. Or come with us on a rustic alpine evening with homemade Kässpatzen and traditional live music. Anyone can do cocktails ;). That's why our bar staff along with manager Steffen Peres have created delicious Rührtails (stirred cocktails) with fresh herbs. Surprise yourself – and enjoy, either with alcohol or without.